Demographers use different age ranges to define the millennial generation, but the most common seem to include those born between the years of 1984 to 2000; and by this criterion, they’re a huge cohort: 76 million people in 2017, nearly a quarter of the US population. This statistic serves the landscape of healthcare as both an enormous opportunity and a possible conundrum in need of strategic maneuvering. There’s been a flood of description and analysis of this generation, with pundits generally oscillating between a negative and a positive pole: millennials are self-absorbed and entitled; millennials are idealistic and open-minded. Their impact on the workplace has been extensively analyzed from both points of view and everything in between. Healthcare leaders are faced with the difficult task of juggling the needs and wants of their organization and their millennial physicians. Balancing the two parties can prove to be a cumbersome task, one requiring the involvement and participation of each and every healthcare team member. 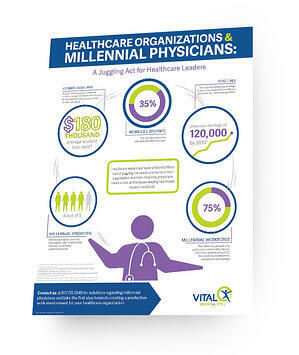 Download the infographic for a snapshot of what millennial physicians seek in the healthcare field and the issues healthcare leaders are juggling. Liz is a Licensed Independent Clinical Social Worker and received her MSW degree in clinical social work from the University of Minnesota. 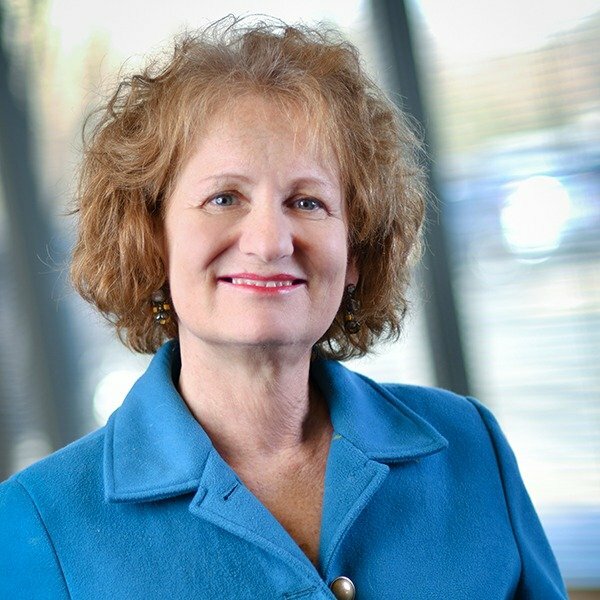 She has served three terms as President of the Minnesota Employee Assistance Program Administrators and Counselors (MEAPAC), and is a former adjunct faculty member at the College of St. Benedict. Liz has provided training to healthcare professionals in several areas, including stress management, change management and conflict resolution.